Fly private and indulge in the unrivaled luxury and beautiful surroundings of the Republic of Maldives, a tropical island nation located in the Indian Ocean, consisting of more than 1,000 small coral islands. Chartering a private jet is the best way to start a vacation to the Maldives, and our team is here to become your partner for luxury private jet rentals, helicopter transfers and yacht and catamaran charters during your tropical getaway. Air Charter Advisors offers on-demand private jet charter service to/from the Maldives. Our services extend around the world, whether you’re vacationing from Europe, the Americas, or anywhere in between. 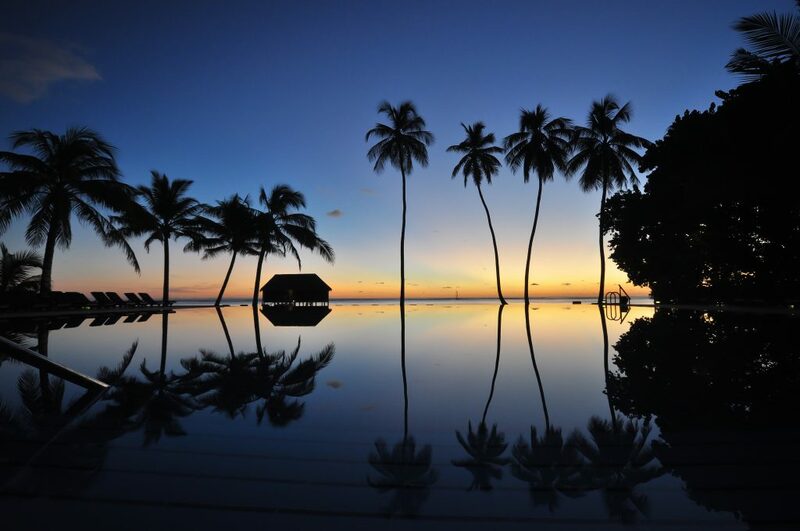 We have access to thousands of luxurious, stylish private jets based around the world, and we’re confident we can connect you with the perfect aircraft to complement any lavish Maldivian holiday. Using Wyvern’s up-to-the-minute reporting tools, we review aircraft maintenance, operator history and pilot experience when selecting aircraft and crew options for your flight. The aircraft we use for charter flights to the Maldives are operated by FAR Part 135 or 121 (or foreign equivalent) air carriers, giving you peace of mind when arranging your flight with us. Our clients have ranged from distinguished passengers such as royal family members, heads of state and C-level executives, to VIP celebrities, personal assistants and leisure travelers who wish to visit this tropical paradise. Enjoy the peace of mind you get from working with an air charter company you can trust, and we’ll become your local and global aviation solution for luxury air travel, aircraft acquisition and private jet management. Call or request a quote for jet charter service to the Maldives. Whether you’re interested in chartering a flight, purchasing an aircraft, having one managed or want to know more about private aviation – consider Air Charter Advisors your comprehensive solution for all things private aviation in the Maldives. There are several airports located throughout the Maldives, allowing clients to arrive closer to the resort of their choice. Flying private also allows you to avoid connecting flights, long baggage check lines, flights delays and cancellations, and rigid scheduling associated with flying commercial. Air Charter Advisors can arrange for private flights to arrive at any of the following airports in the Maldives. Discuss all airport and aircraft options with our brokers to arrive near the resort of your choice. Hiring a private jet into (VRMM, MLE) Malé International Airport is the best way to start your Maldivian getaway, and our team is proud to provide some of the highest standards in executive and leisure travel. Enjoy an all-inclusive charter quote with competitive rates on an endless variety of sleek, modern aircraft flown by veteran pilots, not kids fresh out of flight training. Whether you want a lavish, plush interior with all the amenities, complete with a flight crew to serve you and guests, or you’re looking for a cost-effective, yet comfortable aircraft, we can work within your budget to meet the goals of your Maldives charter flight. If you clicked the link above and noticed your browser window suddenly grew a lot taller, do not adjust your monitor – that’s how many Maldives luxury resorts there are to choose from listed below. Many of the islands are permanently occupied by some of the world’s premier luxury resort brands, including the Four Seasons, Shangri-La, Jumeirah, The W and more. Choose from high-end island resorts with thatched-roof villas, or remote island paradises with lavish, upscale bungalows. We wish you the best of luck in your decision, as if you can go wrong with any of them. We tried to narrow down the list of resort in the Maldives as best we could, so you’re left with only the highest-rated, most renowned five-star luxury resorts to choose from. Like we said, we dare you to go wrong. After your private flight arrives in the Maldives, it’s time to relax and enjoy the tropical getaway of a lifetime. 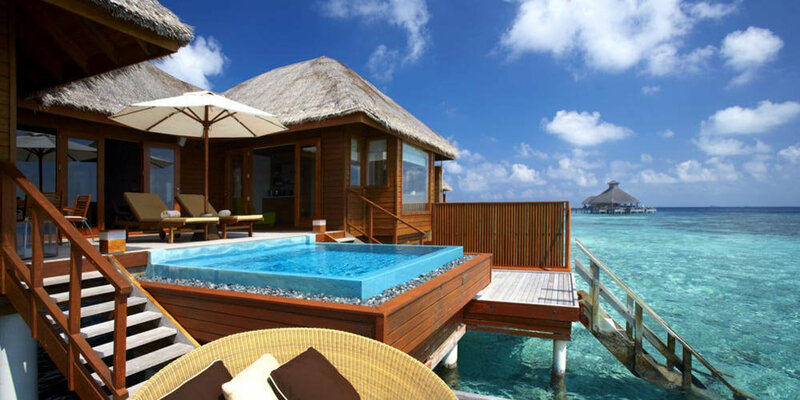 The Republic of Maldives is a popular choice for lavish honeymooners, celebrities, and affluent travelers on holiday, and the islands never fail to deliver an unforgettable experience. Walk across pristine, white-sand beaches as you take in the fresh ocean breeze, or head out on a charter boat for some of the best snorkeling and scuba diving in the world. And, with all of the wealth and resorts located across the archipelago, spa days and shopping excursions are only a few sandy steps away. We’ve put together some of the best things to do during your stay across this tropical archipelago. Although the capital city of the Maldives only covers 2.2 square miles, Males’ population of more than 133,000 people make it one of the world’s most densely populated cities.Male occupies the entire islet of Malé located at the southern rim of North Male Atoll, while its main international gateway, (MLE) Male International Airport, is on its island neighbor, Hulhule. Attractions in the capital include the Male Fish Market, Hukuru Miskiiy, Islamic Centre, Republic Square, and the Sultan Park and National Museum. If you’re looking for a souvenir, head over to the South West Harbour Area or Majeedhee Magu, the two most popular shopping areas in the city. The Maldives offers some of the most incredible scuba diving and snorkeling experiences in the world, and the islands are known for its stingrays, sea turtles and migrating whale sharks.You’ll be hard pressed to find better diving conditions than you will here, with warm currents that allow you to skip wearing an uncomfortable wet suit, and crystal clear waters that offer unrivaled visibility. One of the most notable locations is the Maldives Victory, a ship-wreck located 10 minutes southwest of Male’s airport. The ship had the misfortune of running aground on Friday the 13th back in 1981, creating a natural reef 35 meters (115 feet) below sea level. The ship offers tremendous scuba diving opportunities for guests, especially in calm waters, allowing divers to explore three cargo areas, along with the captains cabin and bridge. If you plan on catching some waves during your getaway, then you already know that the Maldives is one the world’s top surfing destinations.You might also already know about Cinnamon Dhonveli, a resort located on the island of Maafannu offering exclusive access to the Pasta Point surf break. It attracts many of the world’s top surfers to its crowd-free shores, and even hosts professional surfing events. Although Dhonveli caters to surfers, it’s a full fledged four-star resort and not a surfer resort, allowing a maximum of 30 surfers to stay here simultaneously, while the resort welcomes around 250 guests in total. Home to stunning coral reefs and pristine, fairytale-like beaches, The Maldives is one of the world’s top super-yacht destinations. This archipelago located 400 miles south of India contains 26 major atolls and a series of idyllic islands scattered across the Indian Ocean. Around 200 of the islands are permanently occupied, leaving a thousand islands left for you to explore – salad fork not required. 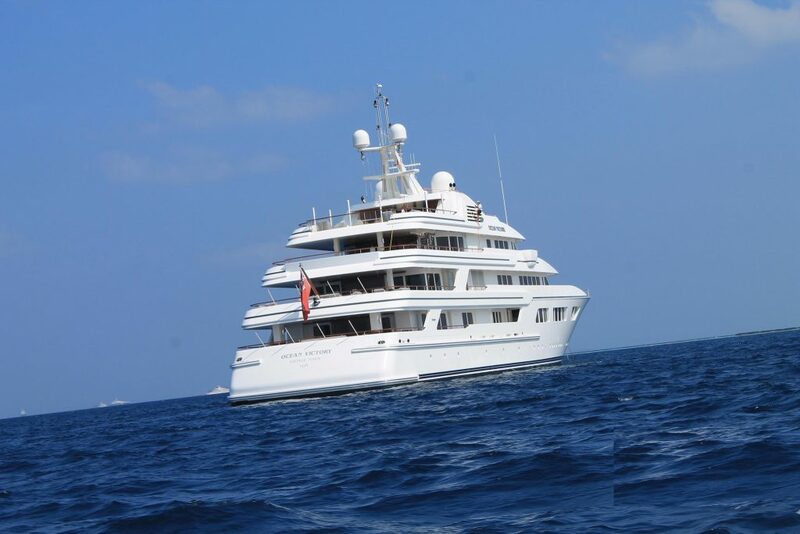 A luxury yacht charter puts you in the Captain’s seat for your voyage throughout the Maldives, and our team can take care of all the maritime arrangements for you and your crew. Our private aviation team works with yacht and catamaran providers from around the globe to charter luxury yachts for our clients while on holiday, and we’ve connected our jet charter passengers to luxury yachts and catamarans around the world, everywhere from Miami to Manhattan to the Mediterranean – including the Maldives. 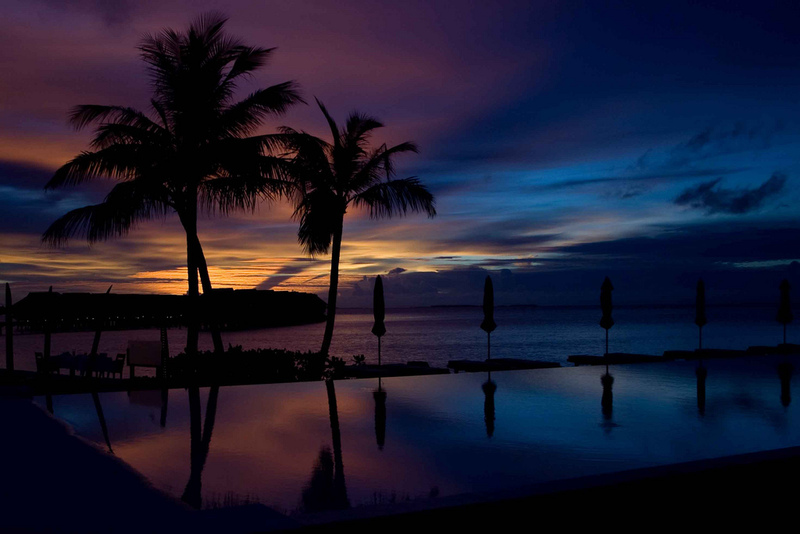 Speak with one of our Maldives Jet Charter brokers and let them know what your goals are. They’ll present you with the requested options for your trip; we can accommodate budgets up to seven figures per week and beyond. Set sail on your own voyage by adding a yacht charter to your trip, and explore more than 1,200 coral atolls and islands that make up the Republic of Maldives. Air Charter Advisors can arrange for private flights to the Maldives to arrive at any of the airports listed below. If you’re chartering a private jet larger than a light-to-midsize model, chances are you’ll need to arrive at one of the Maldives’ two main international gateways, either (VRMM, MLE) Ibrahim Nasir International or (VRMG, GAN) Gan International. Outside of the major commercial hubs, there’s a variety of airports and seaplane bases scattered throughout the islands that can accommodate other aircraft sizes, including pistons, turbo-props, light jets and mid-size jets. Speak to our brokers about your Maldives trip itinerary, including the resort you plan on staying at, and we’ll find the closest airport so you don’t waste a minute of time getting to/from your resort. If you know which airport you want to use but don’t see it listed below, contact us and we’ll find out if we can arrange your flight to arrive/depart from there. After your private charter flight to the Maldives arrives at one of the major commercial airports, we can arrange for either a luxury yacht, helicopter, seaplane or smaller aircraft such as a turbo-prop to transport you to your preferred resort or island. Many of the resorts offer transportation to/from the airport, so check with your resort’s concierge to confirm arrangements. Air Charter Advisors has access to the following private aircraft, all of which are Wyvern-certified for charter flights and operated by FAR Part 135 or 121 (or foreign equivalent) air carriers. We can provide several aircraft options based on your goals and budget, whether you’re looking for a cost-effective alternative to flying commercial, or if you’re looking for the most luxurious private jet available. 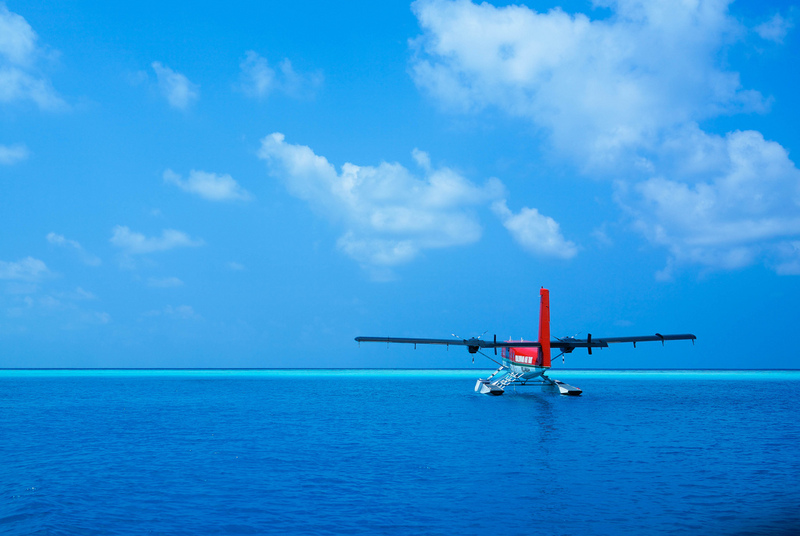 Check out our Aircraft Gallery for more details on all of the planes available for your private flight to the Maldives. If you don’t see your preferred aircraft type listed below, speak to one of our brokers and they will locate one for you. Request a Quote or give us a call at 1-888-987-5387 to speak with one of our Maldives Private Jet Charter agents for your next luxury vacation or special event. Our representatives are available for you by phone and email 24 hours a day, 7 days a week. Air Charter Advisors believes in providing private flyers with a one-on-one consultative service experience that exceeds every expectation. We understand that your time, privacy, flight preferences and most of all, safety, are all extremely important. When using our private aviation service, you can expect quick response times and an easy, hassle-free booking process. Our jet charter brokers can arrange everything from multi-leg private flights with in-flight catering to luxury ground transportation and private helicopter lifts. Request a quote or call us to arrange your private flight to the Republic of Maldives.